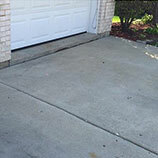 Concrete Repair Chicago: Is Your Landscaping Damaging Your Concrete? With the bitter cold winters that we have to deal with here in Chicago, it makes sense that you would want to have landscaping that you can enjoy as much as possible while the weather is warm and comfortable. While a lush lawn and full flower boxes are wonderful to look at, they may be causing problems for your property that you might not be aware of. 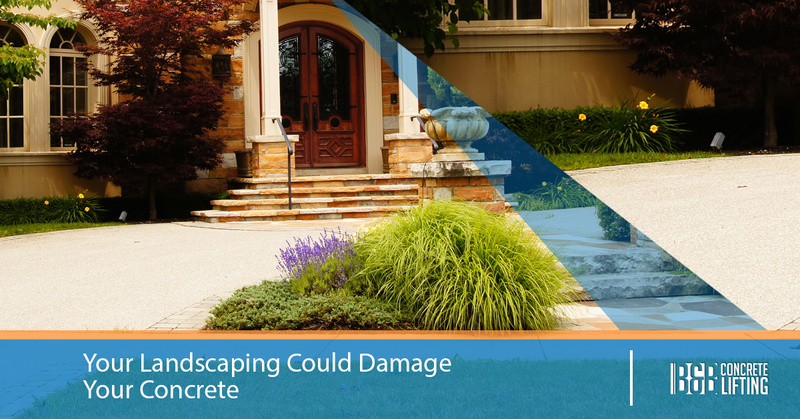 If you had your lawn regraded or you’ve installed a new sprinkler system, it might be doing damage to your concrete. 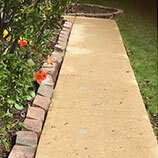 If you have noticed that your sidewalk, patio, driveway, or outdoor concrete steps have started to sink, tilt, or crack, you might be dealing with erosion. Luckily, B&B Concrete Repair in Chicago can help mitigate existing damage and prevent future damage using the most innovative and affordable method of concrete repair — concrete lifting. Concrete lifting involves drilling a small hole into your concrete slabs, inserting a hose, and pumping a special mixture of materials underneath the slab. These materials lift the slabs back into their original positions and help prevent the loss of more soil from erosion. Best of all, concrete lifting is incredibly affordable and takes a fraction of the time needed to pour new concrete slabs. Contact us today to learn about how we can repair concrete at your home or business and read on to learn about the ways that your landscaping could be causing damage to your concrete slabs. While we tend to think that the worst thing that comes from watering our lawns regularly is the need to mow them, under the surface, watering can cause a lot of damage. If your lawn has not been properly graded to maximize drainage away from your home, water can start to erode away the ground underneath your concrete slabs. While it can take some time (years, even) for this erosion to become noticeable, it can lead to many different forms of damage, including uneven slabs and cracks in your concrete. 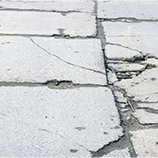 Without help from the concrete repair experts at B&B Concrete Lifting, these problems will only continue to get worse. Even if you were to have someone pour new slabs, that would not solve the problem. Concrete lifting, in concert with work to correct any drainage issues, will stop tilting and cracking concrete. Plants are incredibly resilient and surprisingly strong. Even plants that have stems no bigger around than a pencil have been known to push their way up through rocks and concrete slabs. Before you plant a new garden, be sure to check with your landscaper or a plant expert who can let you know what kind of growing power those flowers and bushes may have. Be especially careful about planting trees near concrete. While it may take many years before its roots reach your sidewalk or driveway, once they get there, they can cause big problems. 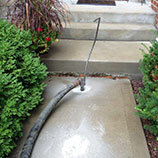 Call B&B Concrete Lifting today for the best affordable concrete repairs in Chicago!